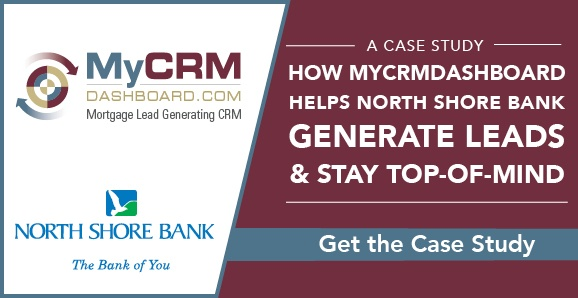 How MGIC Elements Helps North Shore Bank Generate Leads & Stay Top of Mind: A Case Study | Continuity Programs Inc.
Mortgage CRMs offer a litany of benefits to lenders, especially those few designed specifically for the mortgage industry. Keeping in touch with past and current clients can be a challenge, but a good mortgage lead generation CRM also provides marketing automation to take that burden off the loan officers. Continuity Programs ran a case study on the implementation of their mortgage lead generation CRM, MGIC Elements, at a community bank in Wisconsin. The study details how the product helped North Shore Bank generate new mortgage leads and save money and time in the process. North Shore Bank is a community bank in Brookfield, Wisconsin with 46 branches and 20 mortgage loan officers. Chris Boland, VP Consumer Lending Manager, and his team were in the market for an easy-to-use mortgage CRM to optimize their lead generation and marketing initiatives. They also aimed to increase client retention, repeat business, and referrals. Boland and his team faced a pressing challenge: the buying cycle for repeat opportunity is longer with residential real estate than in other areas. His team’s internal system lacked proactive marketing capabilities, and they needed a new way to drive down the cost to originate loans, among other goals. 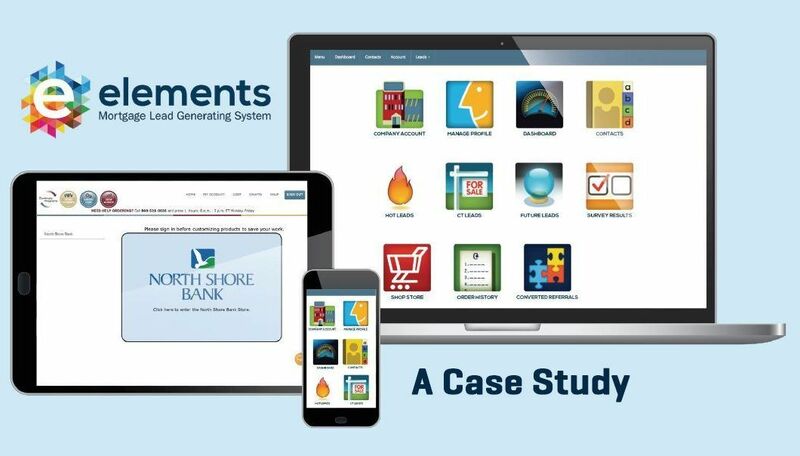 In December of 2016, North Shore Bank made the switch to MGIC Elements to streamline their marketing, with over 25 people at the company using the system. They opted for a 7-year, cross-media client follow-up program. Continuity Programs worked to create and personalize touch points that allow the MLOs to build better relationships with referral partners, prospects, and customers. Providing this one-to-one experience proved essential to securing the top-of-mind position among past and future clients. Continuity Programs also worked with North Shore Bank to provide marketing materials that are available for download in their own online store, including a rate sheet flyer that calculates mortgage rates and allows MLOs to co-brand with real estate agents. This level of marketing automation was an especially valuable asset to Boland and his team: “We aren’t spending time sending the messages and following up with MLOs, it just happens,” he said. After 21 months using MGIC Elements and the accompanying support from Continuity Programs, North Shore Bank saw results across many Key Performance Indicators. Among the most significant outcomes were over 1,300 new leads, an email open rate of 37%, and a 78% survey response rate. Boland reports a significant change in the day-to-day operations at North Shore Bank. While he is encouraged by the efficiency of the automated marketing process, it was the support received by Continuity Programs that impressed him the most. “The team at Continuity: Kirk, Dink, everyone you meet or talk to, is fantastic,” he said. If you want to see a more detailed examination and illustration of the study, click here to download our case study! In it, you’ll find a comprehensive analysis of the increases across Key Performance Indicators at North Shore Bank, as well as a closer look at the services MGIC Elements provides.